For the first time in U.S. history, noted Judge Kavanaugh “we have an independent agency whose heads are appointed by, and removable only for cause by, another independent agency.” And this was done deliberately to avoid the restrictions of the “separation of powers” doctrine. 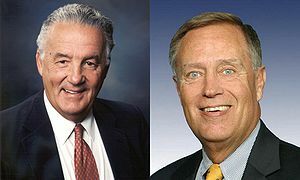 Yet Gramm later voted for final passage, along with 98 other Senators, on July 25, 2002. Investigating and bringing enforcement actions against those firms. The separation of powers lies at the heart of the governmental structure created by the Constitution. And in separating the powers of the federal government’s three branches, the Founders consciously decided to vest Executive authority in one person, rather than several. The Framers recognized [that] structural protections against abuse of power [are] critical to preserving liberty. And Presidential control over the use of executive power by federal agencies is indispensable to the good government that is liberty’s everyday safeguard. Our framers bequeathed to us a brilliant constitutional structure, designed to allow government to function within separation of power constraints that would at the same time prevent it from becoming tyrannical. The structure of PCAOB so clearly violates those most basic on constitutional constraints that it should be held to be unconstitutional. The fundamental problem with Sarbanes-Oxley and the PCAOB is a matter of first principles [emphasis added]. The government derives its power from the People: “Governments are instituted among Men, deriving their just powers from the consent of the governed.” (Declaration of Independence, paragraph 2, 1776). The Constitution is based on a theory of original, and continuing, consent of the governed. In this Nation each sovereign governs only with the consent of the governed. It is clear that Congress lost sight of this basic, fundamental truth in enacting Sarbanes-Oxley. Indeed, Congress went to great lengths to insure that the PCAOB was unaccountable to the people, granting it ‘massive powers’ that would be ‘unchecked’ by the political process. By stripping the President of all power to remove the members of the PCAOB, Congress made them unaccountable to the Executive and thus unaccountable to the body politic. In creating this dangerous paring of power and lack of accountability, Congress all but assured that the PCAOB would run roughshod over public companies, small businesses, and shareholders without being held responsible for such conduct. Because the legislative is the strongest and most ambitious of the branches of government, it requires more checks and balances, whereas the executive and the judicial branches require more protection. No blended power with the President should be implied, but, rather, it should be strictly construed. All efforts should be made not to allow the legislative branch to draw additional power to itself. In early 2002, there was panic in the air. Enron had just imploded. The stock market had fallen off a cliff. And during consideration of this bill, WorldCom evaporated, devastating millions of investors. The panicked atmosphere on Wall Street caused a similar panic in the halls of Congress, with over-whelming pressure to do something—anything—to “restore investor confidence.” The process in Congress is notable for the speed with which it occurred—and for the attendant lack of careful deliberation. In both houses, the legislation was considered within an unusually narrow time frame. The House took only one day, for example, to consider the bill; and the Senate debate occurred under a cloture motion which restricted the time for legislative consideration and amendment. Massive costs to the economy as businesses tried to navigate costly and ever-changing rules and regulations. According to a study by the Brookings Institute, these rules have cost nearly $1 trillion to implement. And yet, despite these huge costs, the new act did nothing to warn about the meltdown of mortgage-backed securities, or ponzi schemes like Bernie Madoff. It’s interesting to note that the case under review by the Supreme Court was brought initially by Brad Beckstead, the owner of a small Nevada accounting firm that had undergone a costly examination under PCAOB rules. This entry was posted	on Monday, December 7th, 2009 at 7:15 pm	and is filed under Constitution. You can follow any responses to this entry through the RSS 2.0 feed. You can leave a response, or trackback from your own site.